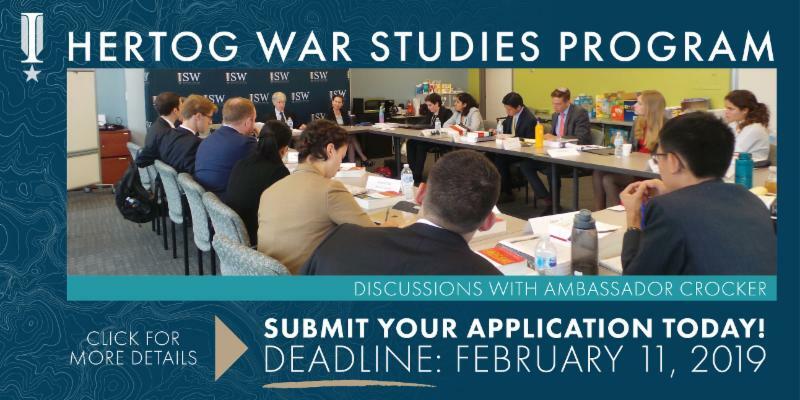 The Hertog War Studies Program is an intensive two-week summer program run by the Instiute for the Study of War in Washington, D.C. The program aims to educate advanced undergraduate students about the theory, practice, organization, and control of war and military forces. Students receive a $1,500 stipend in addition to having travel, housing, and other related expenses covered by the program. The summer 2019 HWSP sessions runs from July 19 - August 3, 2019. Learn more and apply before the February 11, 2019 deadline here.